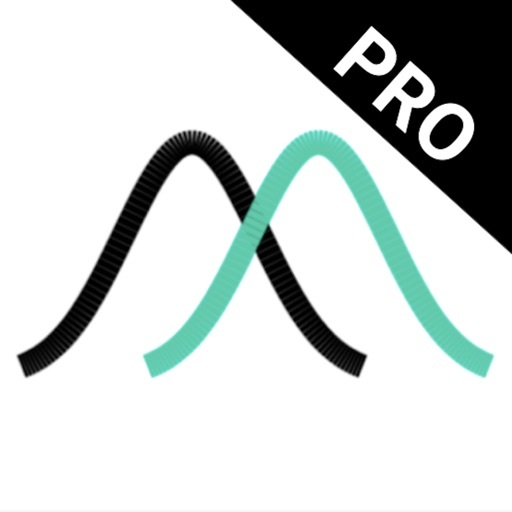 Download statmagic PRO free via AppsHawk. 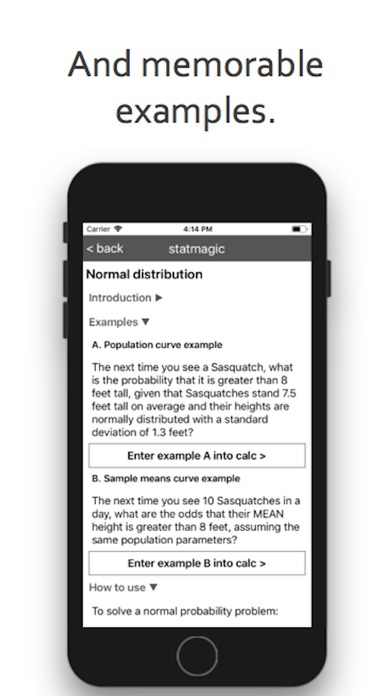 Statmagic PRO helps students finish their statistics homework faster. 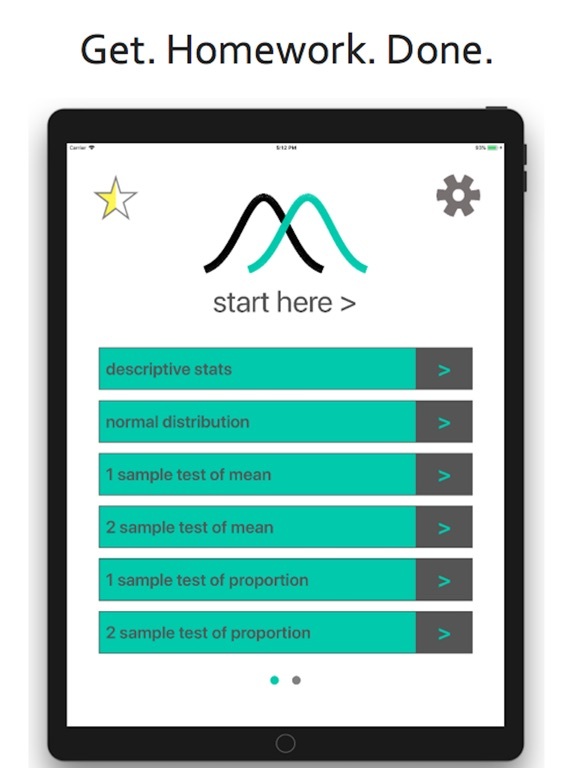 It eliminates tedious number-crunching, and helps you avoid common mistakes -- all while making intro stats simpler, clearer, and easier to learn. 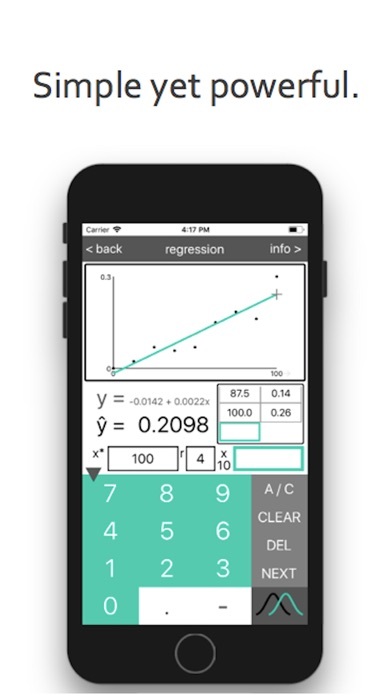 Statmagic PRO is the best, easiest-to-use app for learning stats. Why? â€¢ Complete results. 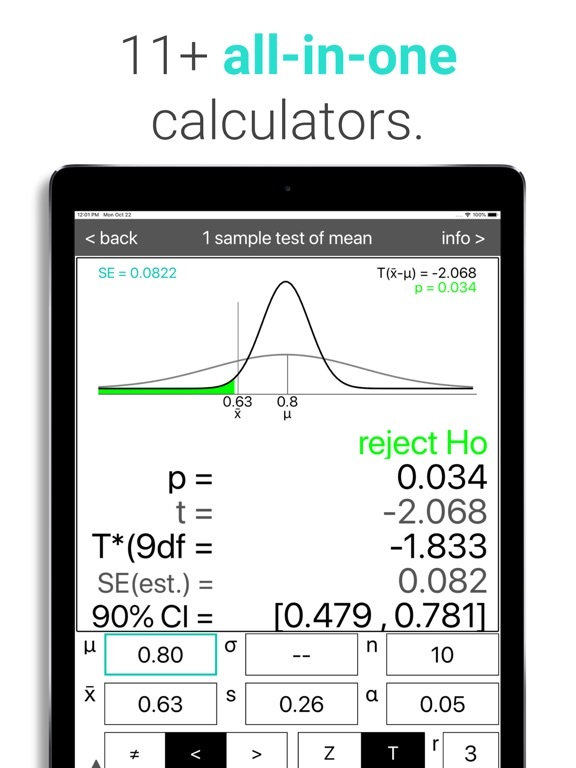 From the standard error to the Z score, to the p-value and "reject Ho?" 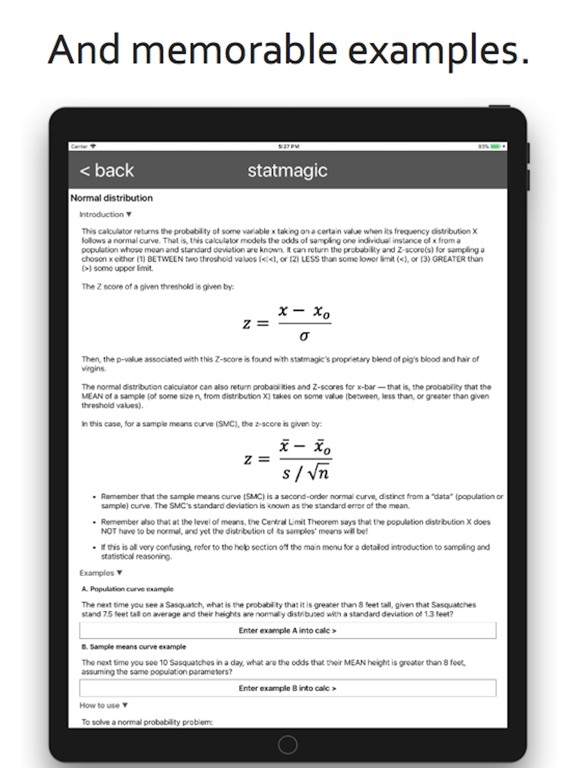 conclusion, Statmagic calculates and returns every important number. 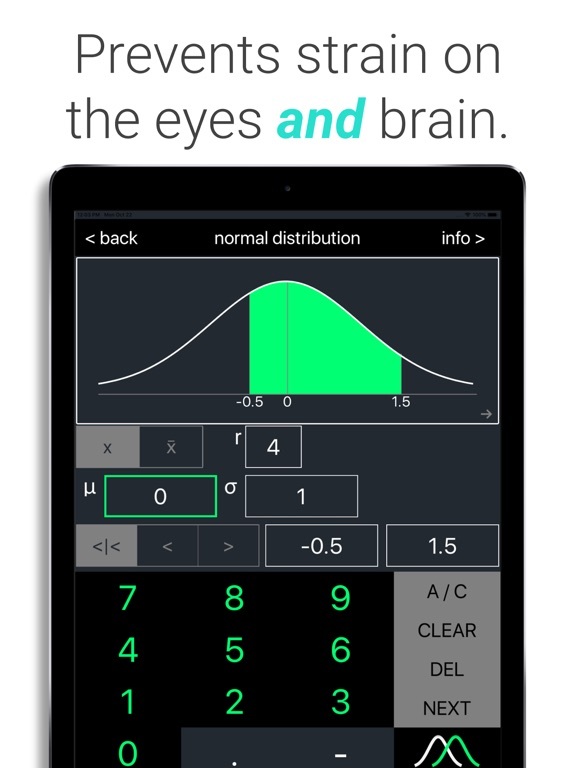 And Statmagic PROâ€™s 11+ calculators have been tested exhaustively to ensure that they return correct answers, first and foremost. â€¢ Simplicity. 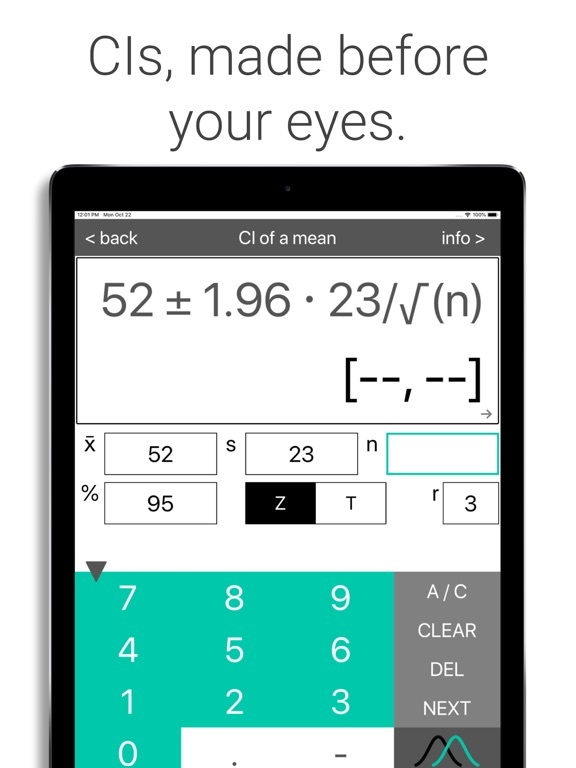 Statmagic uses a simple and familiar calculator layout. â€¢ Press and hold definitions. 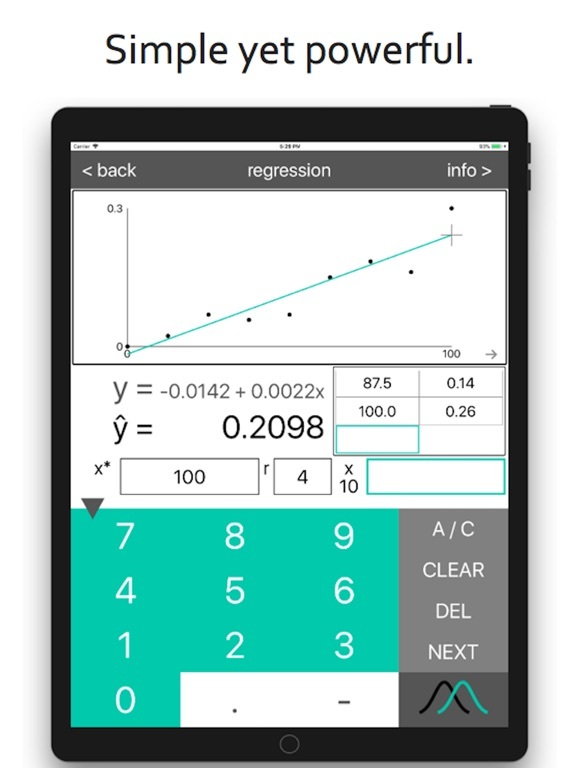 Every input field has an on-the-spot definition, so you can quickly remind yourself what each statistical symbol means, and enter the right value for it. â€¢ Error checking. 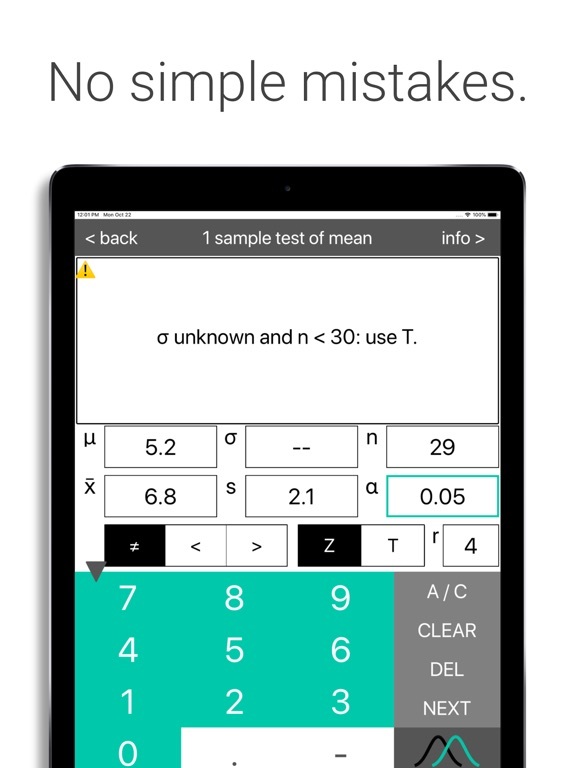 Statmagic automatically checks for typos and anomalous numbers, to help you prevent simple mistakes. 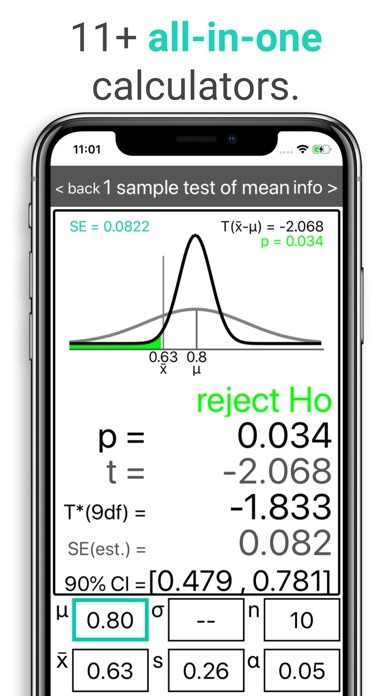 For example, if you select a Z test when n is < 30 and the standard deviation is not known, Statmagic will politely suggest a T test instead. 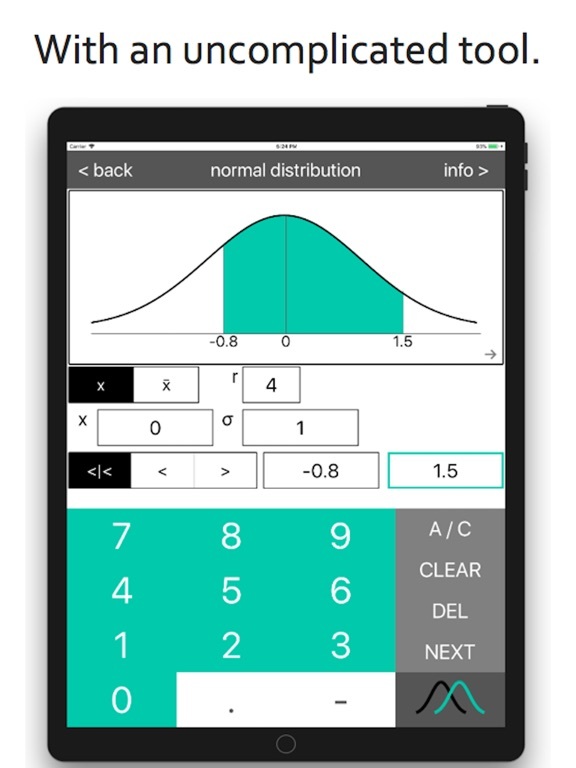 â€¢ Automatic graphics and plots. 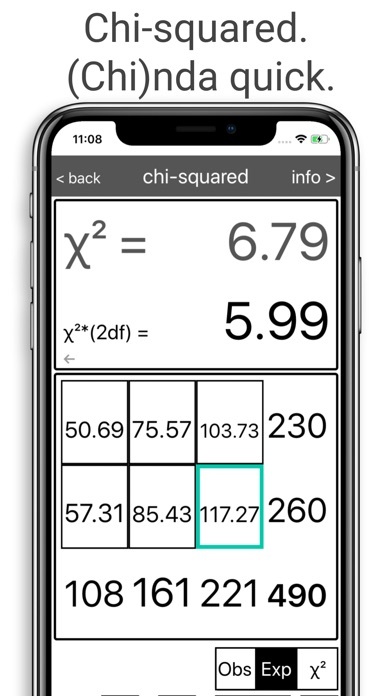 So you can visualize whatâ€™s going on. 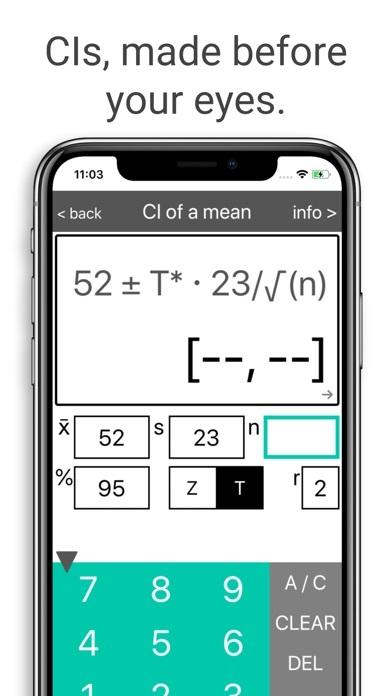 For example, you can finally skip the confusing Z table -- Statmagic automatically graphs the area under the curve, for any Z or T score! 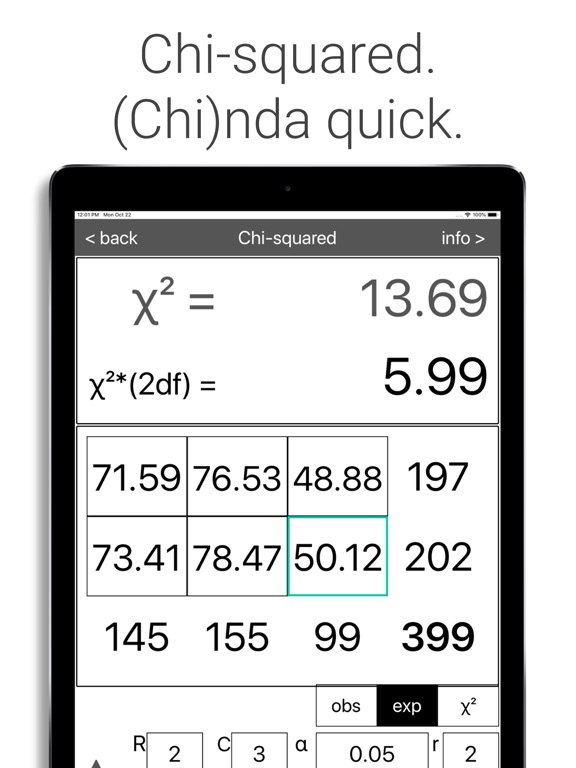 â€¢ User-specified answer rounding. 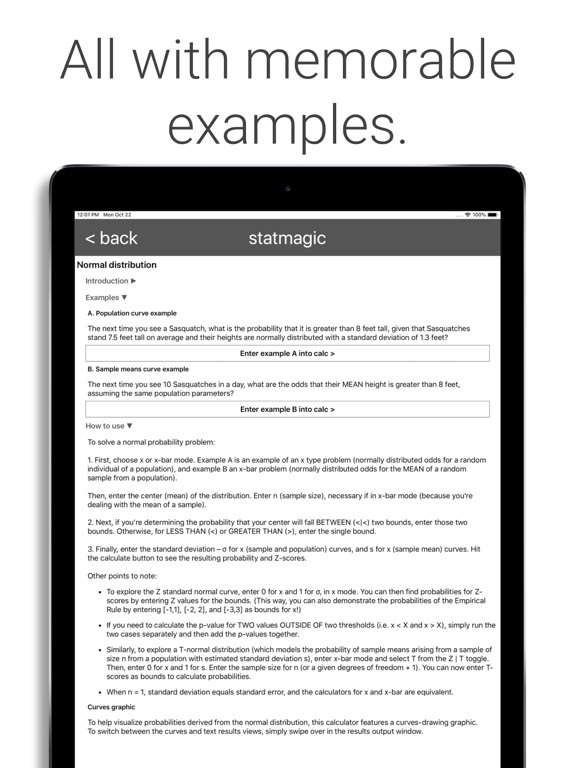 Statmagic will round its answers to any number of digits that you specify. 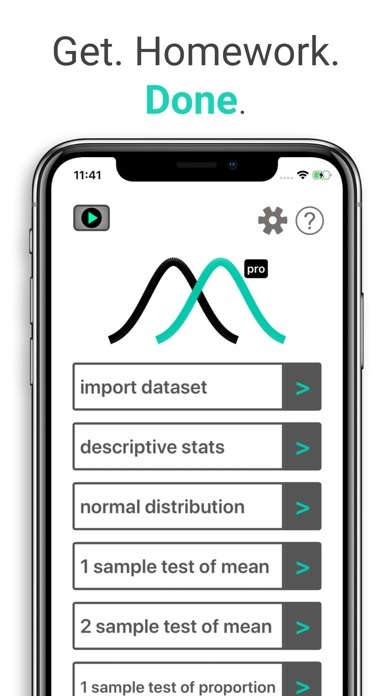 â€¢ An exceedingly easy dataset import feature. 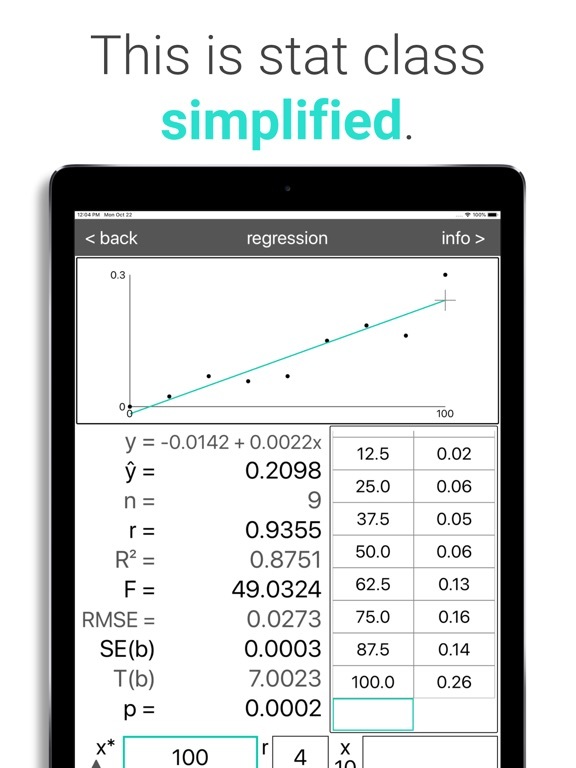 Just open a spreadsheet in a spreadsheet app, copy the data onto your device's clipboard, and Statmagic can read it! 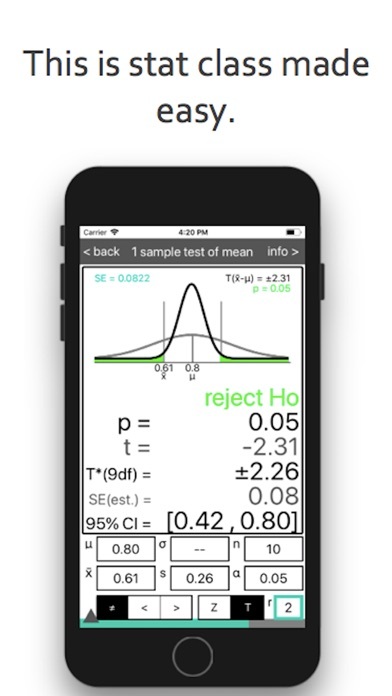 Statmagic will even help you select the correct test for your 1-sample, 2-sample, or paired data. 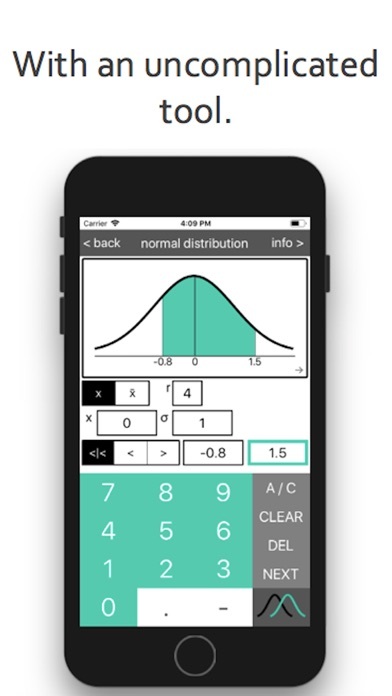 â€¢ Extensive, yet easy-to-navigate help material, with straightforward explanations of the logic and formulas of statistics. 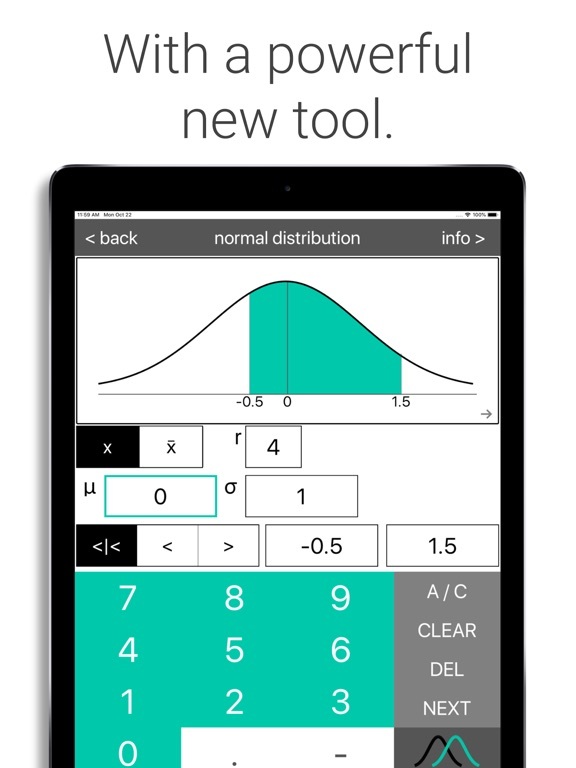 All honed by the developerâ€™s years of one-on-one stat tutoring experience. 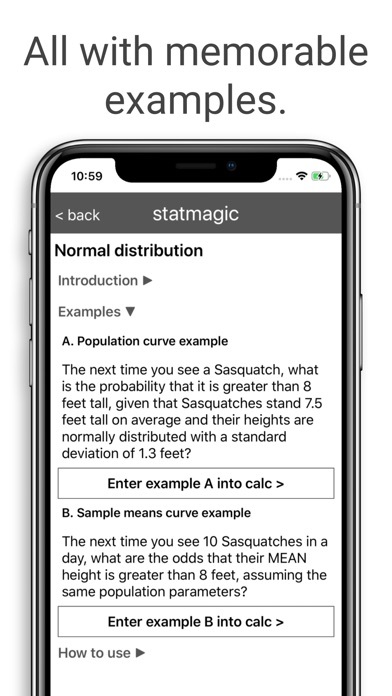 â€¢ Integration with Statmagic's online learning videos, which explains the core ideas of a semester-long stat course in less time than 2 lectures (videos are in English only). 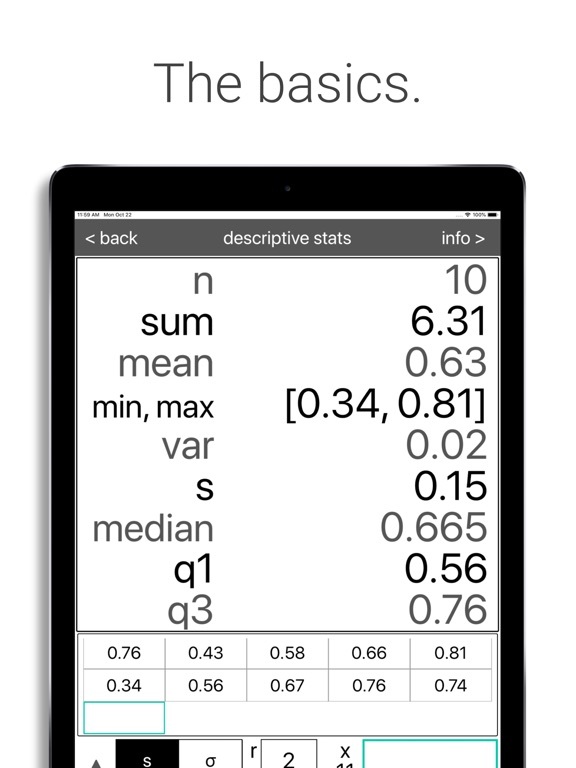 â€¢ Descriptive stats (mean, quartiles, standard deviation, etc.). 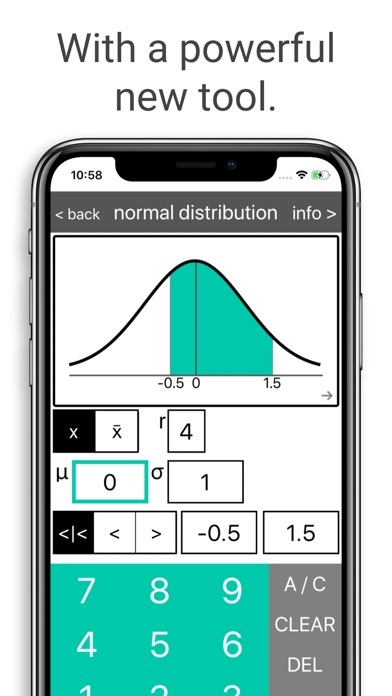 â€¢ Probabilities (with Z and T scores) on the normal distribution. 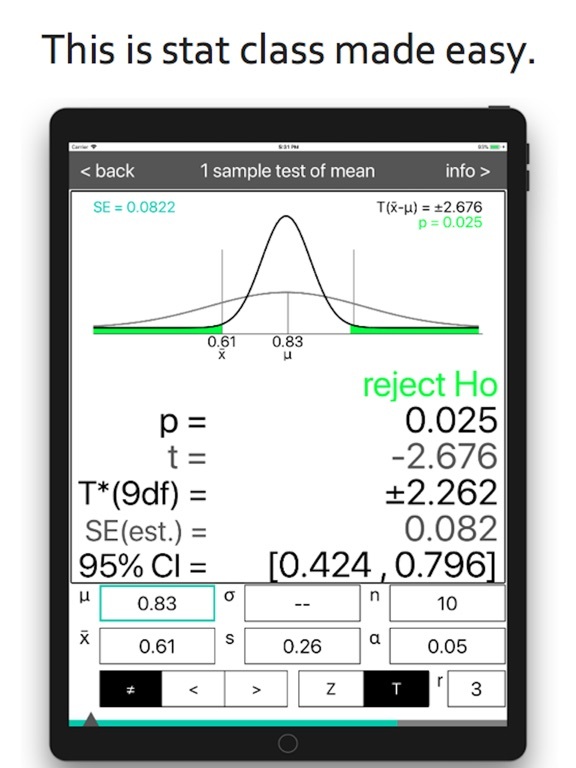 â€¢ One- and two-sample tests of mean (Z, T, and Welch tests). 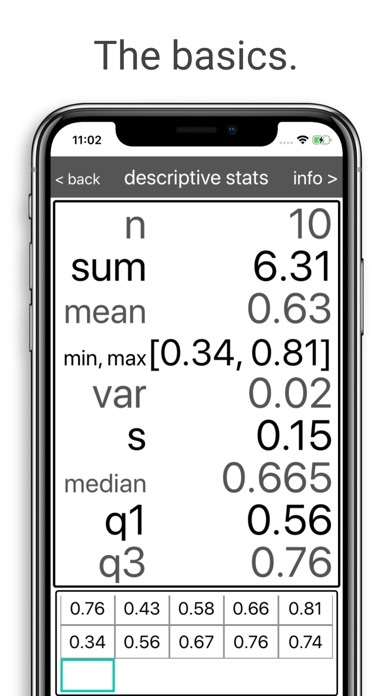 â€¢ One- and two-sample tests of proportion (allowing both decimal "0.48" and fractional "54/112" type entries for p). 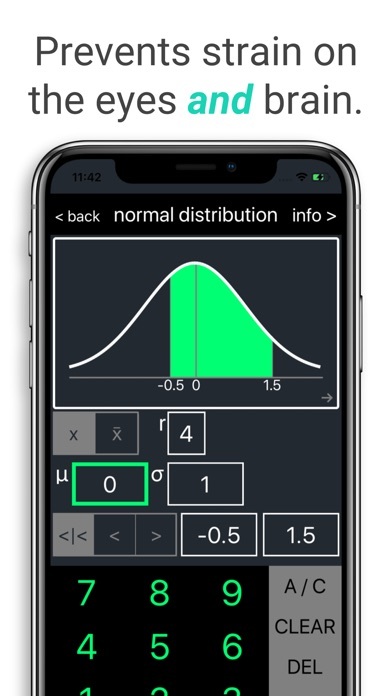 â€¢ Confidence intervals (for a mean or a proportion, featuring a full, auto-filling CI formula, so you can see how the CI is constructed). 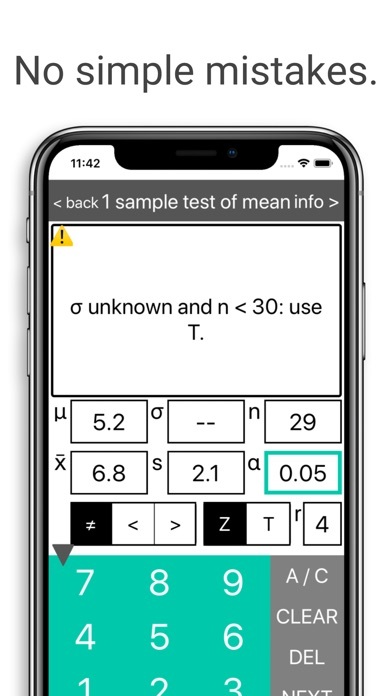 â€¢ Minimum N of a sample (for measuring a true mean or a proportion within a set margin of error). 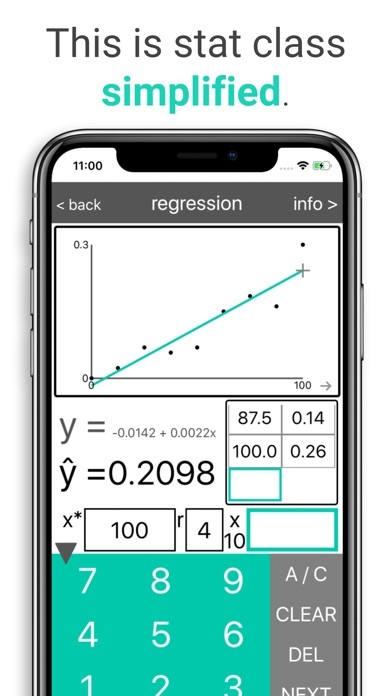 â€¢ Least-squares linear regression (with an automatic scatterplot coloring outliers, and a tool to calculate the predicted y for any chosen x using the regression equation). 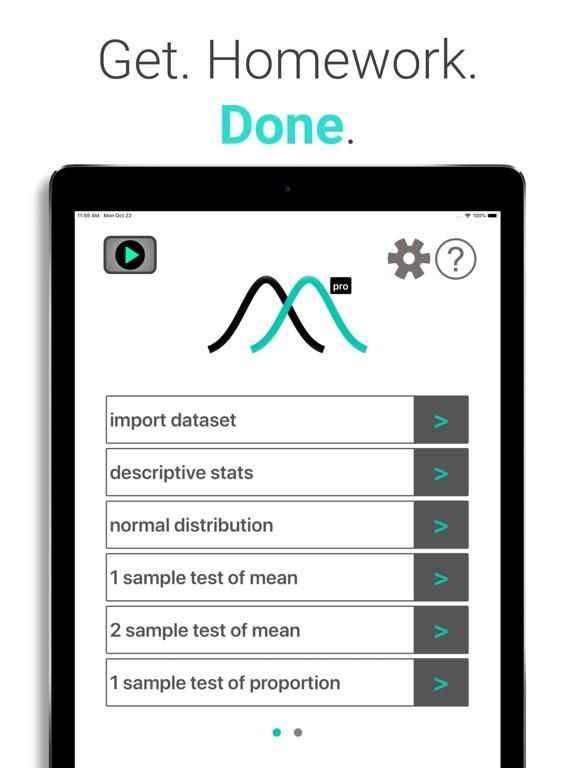 Learn statistics efficiently, and finish your stats homework faster. 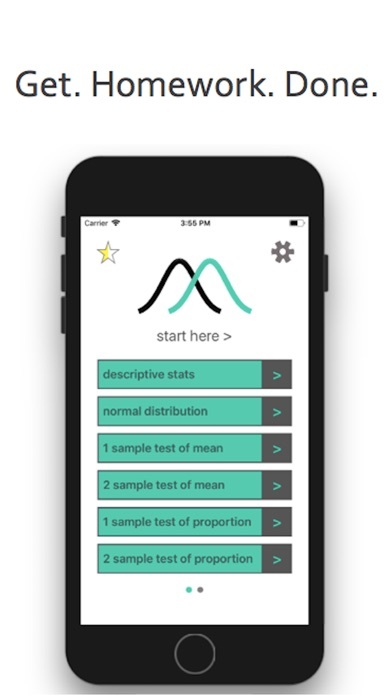 Learn, practice, and master stats with Statmagic PRO!